The LPKF PowerWeld 6600 is designed for the production of medium-sized and large series. The sophisticated machine concept is configured for easy operation and simple maintenance. Thanks to the calibrated scanning field, the process data can be swapped between PowerWeld 6600 laser systems without the need for any adjustments. The system is prepared for communication with the client’s own MES, and integrates itself seamlessly into the upper-level production control system. With a laser power of up to 400 W, and a fast scanner system, the LPKF PowerWeld 6600 is optimized for short cycle times. The integrated time-travel monitoring of the melt travel provides reliable data on the welding quality. The machine is controlled by a Soft PLC - making this system future-proof. The interface to the operator is provided by the intuitively operated LPKF WeldPro software. It visualizes all the process-relevant data, and is optimized for touch operation. The variable servo-clamping technology ensures extremely precise control of the clamping forces. Application specific force profiles help realize sophisticated processes, such as when using double clamping tools. 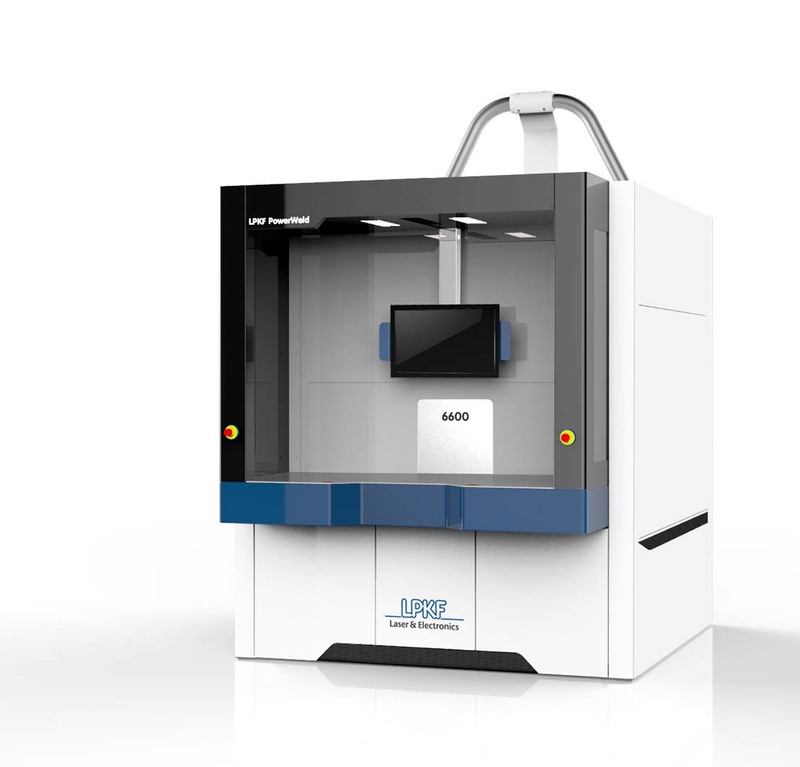 The working area measuring 500 mm x 350 mm allows the production of large components, or the processing of several components per load. When using double clamping equipment the system monitors the melt travel of the two parts separately. 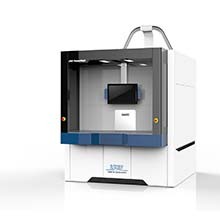 The laser process is set up using the LPKF ProSeT 3D processing software. This reads the data formats of the most important CAD programs, and previous LPKF welding processes. It takes only a few minutes to create an optimized welding contour. A number of intelligent program routines determine the fastest cycle times, take clamping tools into account, and can even reduce complex contours to simple curve progressions.